Over 115 people gathered together in honor of Family Promise of North Fulton/DeKalb on Saturday, August 24. We had great food, wonderful fellowship, and raised $1,800 for a good cause. Congratulations to Mt. Vernon Presbyterian Church for winning the competition! Pictured below from Mt. 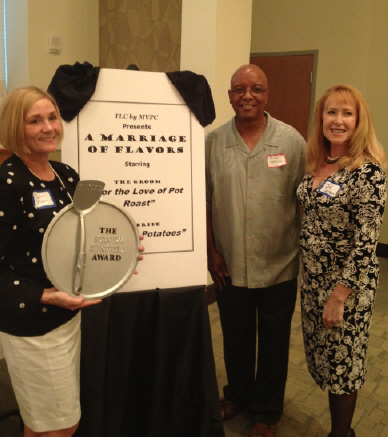 Vernon Presbyterian are Paula Fisher (left) and Joy Carden (right) accepting the award from Bill Hardison. Mt. 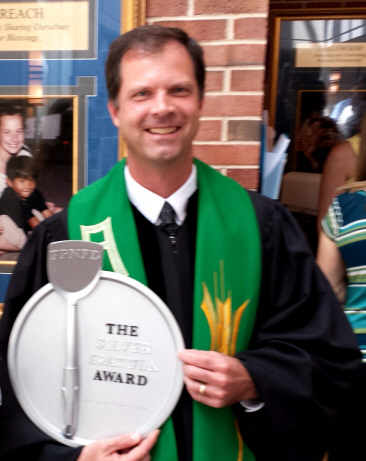 Vernon Presbyterian Church's Reverend Joe B. Martin proudly displays award after Worship Services on August 25. 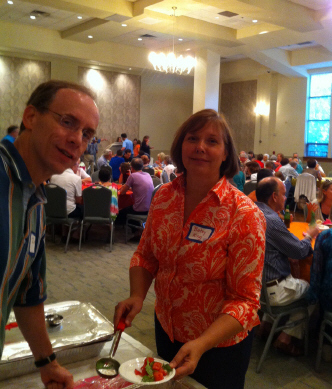 David and Betsy King from St. Luke's Presbyterian Church are serving it up.